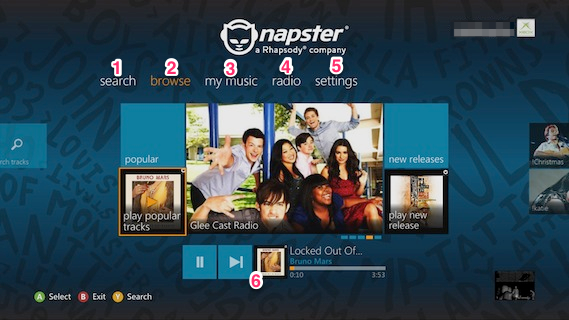 How do I get Napster on my Xbox 360? What's on the home screen? Sorry, Napster isn’t available right now. Please try again later. For more information, go to www.xbox.com/status. Oops! Account In Use. Your music has paused because your account is in use from another location. Please select play to resume listening. This error can occur if you try to stream Napster music on two devices at the same time using the same account. You can only stream Napster from one device at a time per account. Sorry, the item is no longer available. You can either close Napster or return to the Xbox dashboard or you can continue on to the Napster home page. No songs are currently available for this album. This issue can occur if the copyright holder has removed the music from Napster. To work around this issue, return to the previous menu and select different music. You have reached the maximum skips allowed for this radio. Please try again later. Your account is on hold because we couldn’t process your payment. Please go to account.napster.co.uk on your PC, tablet or phone to update your information. You need an active Napster subscription to use this service on your Xbox. Sign up for a free trial from your PC or phone here. Your trial has expired or there was a problem charging your credit card. 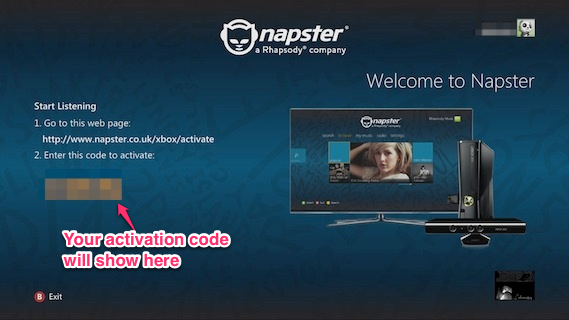 To resolve this issue, log on to account.napster.co.uk and update your billing information.